Yoga is an ancient contemplative practice that brings together physical postures, deep stretching, relaxation, and breath control (Peck, Kehle, Bray, & Theodore, 2005, p. 416; Haggins & Rundle, 2016, p. 106), while also incorporating cognitive awareness, or mindfulness. Yoga is a contemplative practice of mindfulness. The term “mindfulness” can be described as an intentional awareness, paying attention to your thoughts and feelings, being in the present moment, being open-minded and accepting towards the experiences and sensations of your mind and body, and understanding why you feel the way you feel or why you are having certain thoughts (Burke, 2010, p. 133; Weare, 2013, p. 141). Mindfulness is also defined by The Mindful Nation. U.K. (MAPP, 2015): “Mindfulness means paying attention to what’s happening in the present moment in the mind, body, and external environment, with an attitude of curiosity and kindness” (p. 14). Both the practice of yoga and mindfulness have many benefits for teachers and students in a classroom setting. Click here if you wish to read a current list of research on the benefits of yoga and mindfulness for children. Teaching Yoga and Mindfulness to Children with Hearing Loss by Megan Johnson, Chapter 4. This spring my sister had her second child – another boy. I had the privilege of spending time with this divine person when he was 9 weeks old. Theo and I spent time bonding through yoga. Several times over a 3-week period I laid him down on the floor and engaged with him through song, movement and infant massage. Even at this young age Theo loved the attention and made cooing noises and eye contact during these short yoga sessions. 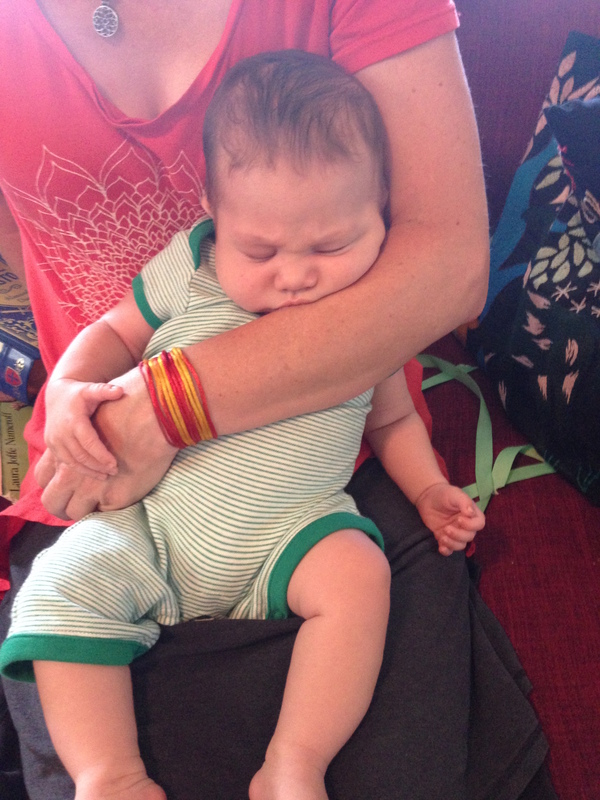 Here are some examples of the benefits that I observed about yoga with a baby. I highly recommend this experience to all moms and caregivers. Sometimes we forget how to engage with infants except through feeding and diapering. Baby yoga gives us tools for socializing, gross motor skills, body awareness, strength, and language development. I will be offering Baby Yoga at the South Shore Conservatory this Fall. Click here to register for a class. It is January part of the darkest time of the year. The sun does not shine for many hours these days. This is the time of year I find myself drawn to lighting candles in my house to counter the lack of sunlight. 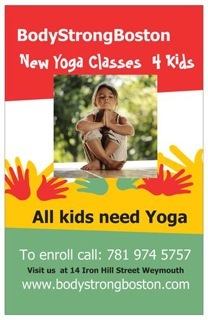 It is also the time of year that I find more children signing up for my children’s yoga classes. Is this coincidental? This leads me to contemplate the importance of light. The light that shines down from the sun but also the light that is within us all. I am a certified children’s yoga instructor through Yoga Alliance. I began teaching weekly yoga classes at SSC six years for the preschool and kindergarten children enrolled at SSC in Hingham. I love my job. Each week about 45 children ages 3 – 6 attend a yoga class with me. Their beautiful spirits learn about valuable life skills like deep breathing, cultivating self-love, developing self-awareness, and being compassionate towards themselves and others without competition. I sometimes ask the preschool children “Do we have light inside of us? Do we have a flashlight in us?” It is difficult to describe the abstract metaphor of the light within us, yet this is an integral concept in teaching the philosophy of yoga. I am reminded of it this week as I am singing and doing yoga poses to the song “This Little Light of Mine, I’m Going to Let it Shine” in my kids yoga classes. I asked the children ages 3-6 what does this light within mean to them. I relate it to what makes them smile or feel happy – a place, a person, an activity. I heard interesting responses like “It is my happy light”. Or “I feel my light when I swim with dolphins, play hockey, do gymnastics, play with my little brother, and am with my parents.” I am very moved that children as young as preschool and kindergarten can begin to be in touch with the light or spirit that allows them to feel joy in the world. I believe that children who are able to connect to their inner wisdom will feel more comfortable and content in this busy world we live in. Searching for the light within is a great activity for this time of the year, a time of darkness. In our fast paced society it important for children and adults to take sometime for quiet reflection. Perhaps this article will inspire you to look for your inner light. Come check out my new children’s yoga classes at Body Strong Boston, located in Jackson Square, Weymouth! Click here to see more information on the Body Strong Boston website. During this busy season, don’t forget to breath. Deep conscious breaths can help you calm down and make better decisions. Here is a seated meditation that you can try at home, in the car or out in nature. Breathing in, I know that I am breathing in. Breathing out, I know that I am breathing out. Breathing out brings me ease. With the out-breath, I release. Here is an interesting article from the Scientific American about how the brain changes (in good ways) when a person practices yoga. MRIs are really allowing us to learn a lot of about the brain with yoga, meditation, and changing neural pathways. Here is an article published in the South Shore Living Magazine in October about my business Yoga Magic 4 Kids and the benefits of yoga for youngsters. Enjoy!